The recent turn of events following the proposed Bengali language imposition plans in Darjeeling Hills, Terai and Dooars region by the West Bengal government has led to the resurgence of the demand for a separate state of Gorkhaland within India. This in turn has resulted in the predictable, violent and brutal repression of the demand by West Bengal chief minister Mamata Banerjee through the state's police. As explained by Upendra Pradhan, a political analyst and journalist from Darjeeling, the Gorkhaland demand is neither a new one nor is it one that has resurfaced. Rather, this century-old demand began with the Hillmen's Association that had first raised the need for a separate administrative unit for the Darjeeling-Dooars region way back in 1907. It has been there in the proposed Gorkhaland region since then. The ebb and flow of this demand has remained visible and raw in the Gorkha psyche, led forward by different Gorkhali leaders all these decades, at times reaching its peak, and at other times deflated and compromised. 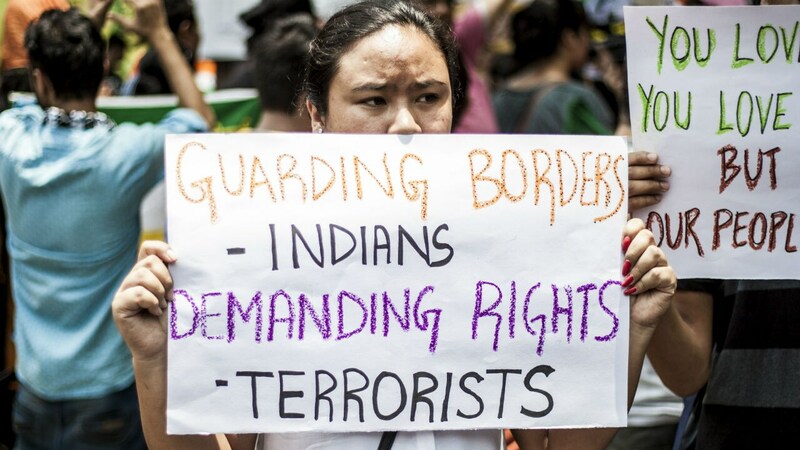 Nonetheless, the Gorkhaland demand has continued to remain in the hearts of each Gorkhali individual, not just in the proposed Gorkhaland region, but across India. A violent form of protests emerged in the 1980s when a former soldier Subhash Ghising demanded a separate state under his political party Gorkha National Liberation Front (GNLF). While official records put the death toll at over 1,200, the accounts narrated by the locals who witnessed the agitation tell a different story of state oppression and blatant abuse of human rights. What finally ended it was the setting up of the semi-autonomous body Darjeeling Gorkha Hill Council (DGHC) to give the regional political leaders and people a sense of self-governance. But Darjeeling’s development continued to languish under the West Bengal government even as the identity crisis of a common Gorkha person grew. A similar scenario followed when the demand took on a new form again in 2007 under the Gorkha Janmukti Morcha (GJM) but the same tokenism was what was offered to the region. This time, it was in the form of the semi-autonomous body Gorkhaland Territorial Administration (GTA). Fast forward to 2017: Using the Bengali language as a ploy, Mamata Banerjee deliberately provoked the sentiments of the Gorkhas of Darjeeling Hills, Terai and Dooars. 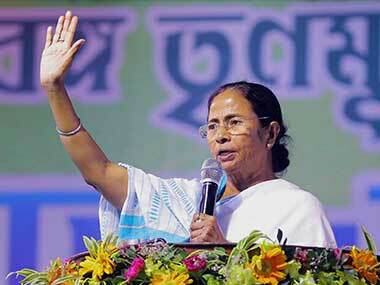 She proposed Bengali as a compulsory subject up to class 10. On facing immediate protests from the Gorkhas of Darjeeling Hills, she conveniently changed her position by announcing it would not be compulsory but would exist as an optional subject in the hills, the irony being that Bengali as an optional subject already exists as part of the school curriculum in the region. Nepali or Gorkhali, despite being recognised as one of the national official languages in India, continues to be missing from the list of optional subjects for the West Bengal civil services examination. When the people within a state are being deprived of what has already been offered to them constitutionally, it serves as a direct threat to their language and culture. In a place which is linguistically and culturally poles apart from the state that is currently governing it, spotting the bully is easy. Furthermore, Mamata on 8 June held her cabinet meeting in Darjeeling, a move by the West Bengal government after 45 years. Under normal circumstances, she would have been welcomed. This time though, it was seen as a direct provocation and show of power. Tear gas was used against the people protesting, most of whom were not just affiliated to political parties but also the concerned mothers and fathers and relatives of hundreds of children who were sent back home during ongoing exam days just to accommodate Mamata and her cabinet of ministers. 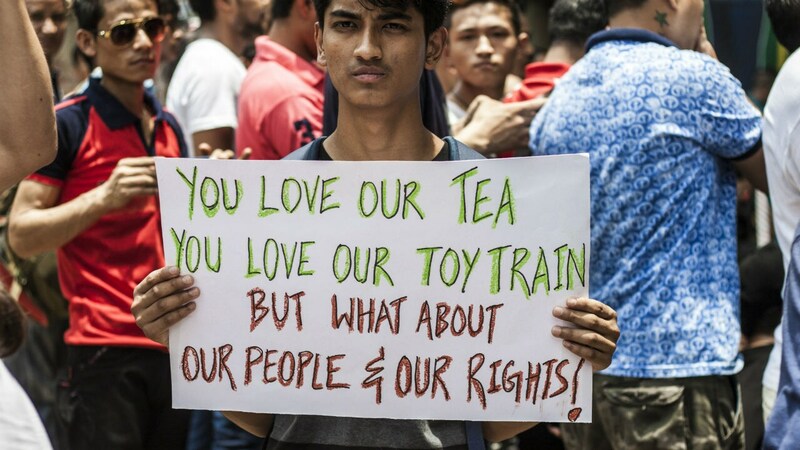 The crowd of angry protesters also included locals such as taxi drivers, daily wage earners, and ordinary people of Darjeeling Hills whose lives were disrupted just to accommodate Mamata Banerjee’s security. The crowd comprised of genuine locals from all walks of lives such as teachers, professors, activists, etc who came in solidarity to protests Mamata’s language imposition plan outside the venue of her meeting. Local accounts narrate that the provocation and high-handedness by the police is what made the protesters go berserk. The next few days went by in a blur of protest rallies, strikes called by Darjeeling’s ruling party, government vehicles and offices torched in several places (although who burnt them has not been ascertained yet) and steps taken to repress the movement which was once again tilting in favour of the age-old Gorkhaland demand. A deadly blow to democracy came when there was a blackout of local media while what could be only termed as propaganda messages were streamed through Bengali channels. The house of GJM chief Bimal Gurung was raided. Farming tools, firecrackers, bows and arrows used for recreation that were found were portrayed as a huge cache of ammunition and arms in the media. Social media in Darjeeling had a field day over how common farming tools like spades were considered deadly weapons by the Bengal government, with many alleging the media’s biased reporting was only showing one side of the story. Amid this uproar, came the events of 17 June, a black day for Darjeeling and the Gorkhaland movement. 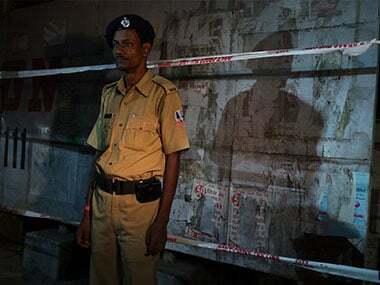 Three to four unarmed protesters died after being shot at with live bullets in a rally march, which was resisted by the armed forces put in place by the Mamata government. While locals alleged, along with some video proof, that it was the police forces that had open fired, the state government maintained that there was no open firing. The dead were declared martyrs by the local populace, adding to the countless lives lost in the previous Gorkhaland movements. The chief minister's statement over the incident was as follows: “There is a terrorist brain behind this hooliganism and vandalism. We have got clues that this has terrorist connections. They (GJM) have connections with underground insurgent groups of the Northeast.” Her insensitive comments came at a time of mourning for the hills and while there are over two lakh Gorkhas serving in the Indian armed forces, guarding the borders and fighting against actual terrorists. While Mamata called for an all-party meet on 22 June to resolve the “violence” in the hills, she herself would not be present at the meeting. This further alienated the people of the hills, who not only shunned the party meet but also criticised the fact that the chief minister was away to receive the highest award for Public Service by the United Nations Department of Economic and Social Affairs (UNDESA) at The Hague in Netherlands. Her appeal for peace in the hills did not match her actions as she deserted the people she most staunchly calls her own brothers and sisters. A pertinent question to ask in this situation is whether she would have gone for a function like this, as prestigious as it may be, if some people from Kolkata had died in some public incident. The hills remain not just geographically far from the state capital but also equally distant from the chief minister's heart. The Gorkhaland movement received a further impetus when the ongoing events in the hills, which were at least being reported and discussed in social media, received a rude interruption as an internet ban was put in place by the state government. This further enraged the Gorkhas not only residing in the hills but all over the world as it controlled the last avenue from which ground realities and the Gorkha community’s truths were being shared. Solidarity marches and rallies were organised in several Indian cities including Delhi, Kolkata, Bengaluru, Mumbai, Chennai and various North East states. Support also poured in from Gorkhas residing in many foreign countries including USA, West Asian countries, France, Netherlands, among others. The protest rallies continue even as there is a renewed awakening among the Gorkhas to demand constitutionally what has been their birthright. It has now cut across party lines and has evolved into a mass movement. For a millennial living away from home, earning my bread and butter in the national capital, home has come to mean the much-awaited but short yearly visit (two visits if I’m lucky) to my hometown Darjeeling. With the resurgence of the Gorkhaland demand, ‘home’ has suddenly taken on a different connotation. The need for Gorkhaland and why it matters to me and every Gorkha residing in all corners of the globe as part of our identity has taken centre stage. The main justification for Gorkhaland has been on linguistic and cultural differences from the state it is currently a part of. 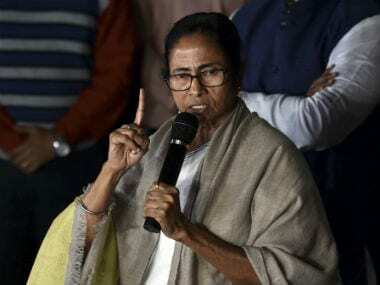 A tone-deaf West Bengal government, be it under the previous 34-year-old rule of the CPI-led Left Front government or the two terms under current chief minister Mamata Banerjee, has always had a step-motherly treatment to its people in the hills. The two semi-autonomous bodies functioned as mere tokens rather than administrative bodies with real power. Mamata’s creation of development boards for various hill tribes could be seen as progressive at first glance. But the underlying truth is that it functions more as a divide-and-rule policy as funds are directed towards these boards rather than through the GTA, which should have been the overarching administrative body for the hills. The elected representatives have been another impediment to Gorkhaland. Despite the current Darjeeling constituency MP SS Ahluwalia being a key member of the NDA government, no concrete thrust is being given to the realisation of Gorkhaland. There are no talks that have emerged in the public space about even the consideration of this demand. The BJP’s manifesto in 2014 read, “...the BJP reiterates that it will sympathetically examine and appropriately consider the long pending demands of the Gorkhas, the Adivasis and other people of Darjeeling district and the Dooars region; of the Kamtapuri, Rajbongshi and other people of North Bengal (including recognition of their language).” However, this “sympathetic” examination and consideration of the Gorkhaland demand, which is over a century old now, continues to languish under petty politics. A concrete step would be for Ahluwalia to raise the demand in the Lok Sabha, get support from his own party and table a bill towards the creation of Gorkhaland. The current Modi government owes the people of the Darjeeling and Doars region for helping the BJP make inroads in West Bengal, even when they were not a strong political force that they are now. 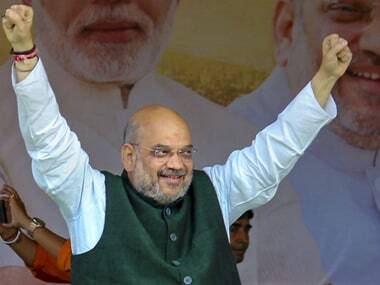 But just like Mamata Banerjee is eyeing the 2019 elections to muster support along communal divide by pitching the Gorkhas and Bengali community against one another, the BJP is aso looking to take a larger share of the vote bank pie in West Bengal itself. So, the Darjeeling constituency — with its limited number of representatives to the Lok Sabha — takes a backseat in BJP’s current agenda. Herein lies the toughest challenge for the Gorkha community. The community needs to unite and rise above the petty politics of various parties, including the vested interests of even local leaders and intellectual opportunists. The fight for Gorkhaland, after all, is against the West Bengal government and not the Bengali community. The demand for Gorkhaland, through democratic protests and means, needs to continue and gain more momentum even as persistent pressure must be placed on elected representatives to take concrete steps for making Gorkhaland a reality. 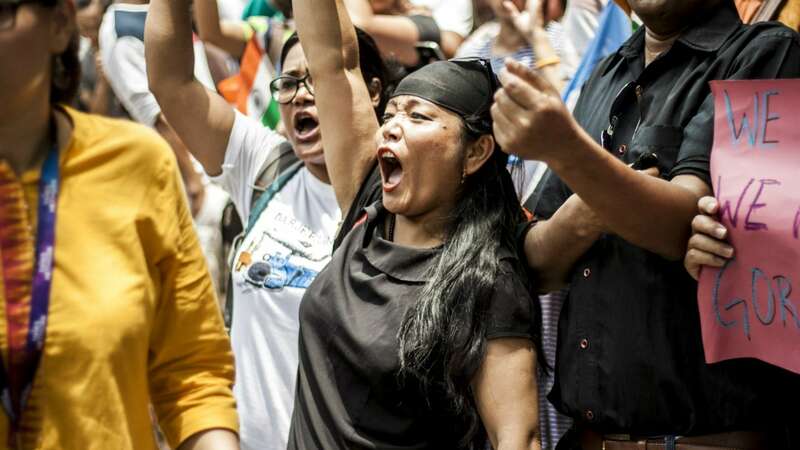 To resolve the crisis of identity the Gorkhas feel in the current context, where the community lives as second-class citizens under the West Bengal government, a separate state to validate them is the need of the hour. Most importantly, a narrative of the reality and economic viability of Gorkhaland as a separate state must be continuously pushed forth to make India take notice of the yet untapped potential of what could become the nation’s crowning glory as the 30th state.